Martin Jennings is perhaps best known in UK for his portraits, including the much-loved sculpture of John Betjeman in the newly-restored St Pancras station in London. 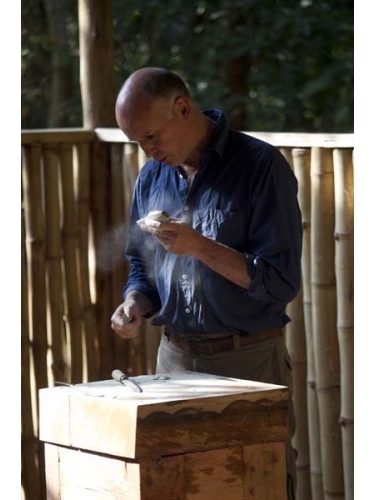 He is also an accomplished stone carver and relished the opportunity to take part in the 2011 expedition to Karamoja in Eastern Uganda, supported by the Ruwenzori Sculpture Foundation. In the subsequent workshop he produced a series of carvings in Moroto soapstone, some of which have subsequently been cast into bronze.